Nextcloud is an open source, self-hosted file share and collaboration platform, similar to Dropbox. It comes bundled with media player, calendar and contact management. Nextcloud is extensible via apps and has desktop and mobile clients for all major platforms. 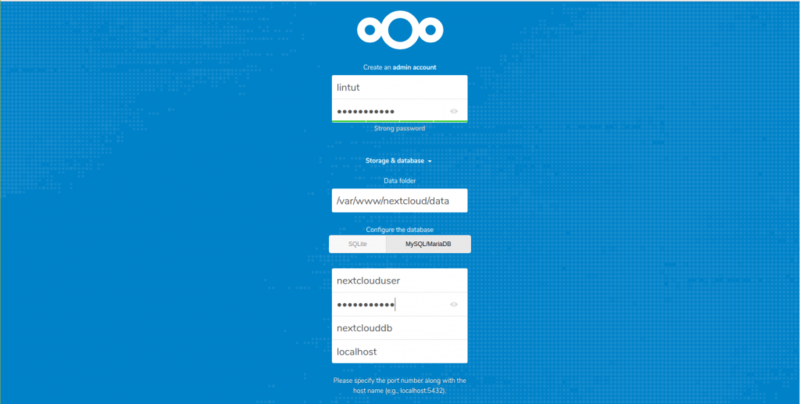 In this post, we will see how to Install Nextcloud on CentOS 7. Access your files anytime, anywhere. Share your files with the other users. Create and send password protected public links. Two-factor authentication with TOTP and QR code. Monitor the activity on your NextCloud server. Nextcloud is a PHP application. CentOS 7 ships with PHP 5.4 which is not supported by Nextcloud. NextCloud can use SQLite, PostgreSQL or MySQL database to store all its data. In this tutorial we will use MariaDB as the database of choice. Ensure MariaDB service is running before attempting to create the database. Now, login to MariaDB server. Allow “nextclouduser” to access the “nextclouddb” database on localhost with a predefined password. Configure the firewall to allow access to the Nextcloud storage from external machines. Open your text editor and create the following Apache configuration file. You will be presented with the Nextcloud setup page. The browser will take you automatically to NextCloud setup page where you have to begin the setup of NextCloud. Enter admin details (username and password), data folder location where all of your documents get saved, and database information. Click on the Finish setup button and once the installation process is completed you will be redirected to the Nextcloud dashboard logged in as admin user. That’s All. To find more information about how to manage your Nextcloud instance visit the Nextcloud documentation page.